Investing to Thrive - Page 26 of 31 - Invest to empower your life. Invest without fear and enjoy your life. Fill out the form to get free email updates from Investing to Thrive. 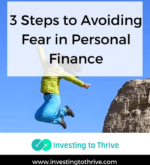 Are you afraid of revealing your personal financial situation and being judged harshly by financial professionals, your parents, or other people in your social circle? If yes, then you are not alone. 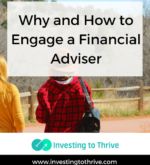 According to a 2014 survey of 2,000+ U.S. adults commissioned by TradeKing Advisors, 57% of would-be investors say that the thought of speaking with a financial adviser in person (either in a face-to-face meeting or on the telephone) has stopped them from investing. Seventy-four percent of Millennials (ages 18-34) and 66% of Gen X (ages 35-44) have allowed fear to paralyze them. Whether you are part of these generations or not, you don’t have to be afraid. Recently, I wrote a series on financial advisers. 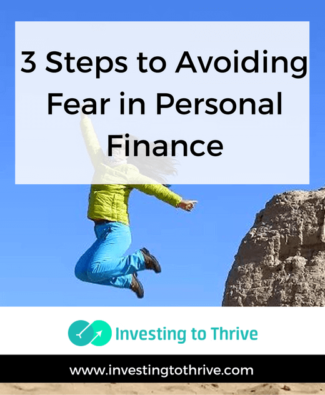 I shared my bad experiences and covered many of the worst practices of financial advisers. 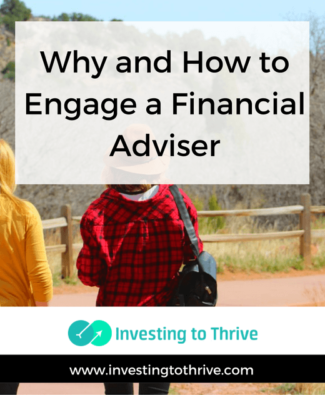 Not all financial advisers are predatory and dispense generic or lousy advice. But to get my money’s worth in terms of fees and commissions, I realized that I need to choose an adviser carefully and make sure my choice doesn’t overreach his or her boundaries in terms of professional expertise and credentials. 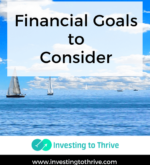 When I was younger, I was often told by financial professionals that I needed to set financial goals. I heard that I should first define my life ambitions. 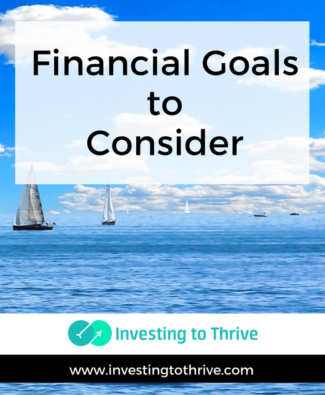 Next, I needed to marry my professional and personal aims with specific financial goals. Then I could plot my path to achieving my dreams. However, when I was in my early twenties, I hadn’t yet gotten clarity on exactly how I might spend the next 30 to 50 years of my life. More than three decades after my first awkward conversation with a financial professional, I’ve learned that I am (relatively) normal. Managed portfolios seem to becoming more popular as more people want to invest, but aren’t sure how. 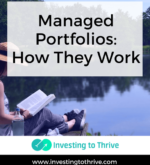 The practice of portfolio management has been around a long time but has more recently become part of the mainstream as portfolio management services are now accessible to the average person (who may have just a few thousand dollars to invest). Companies like Betterment and WealthFront (also called robo advisors) have begun to popularize the concept. What is a managed portfolio or what are portfolio management services? 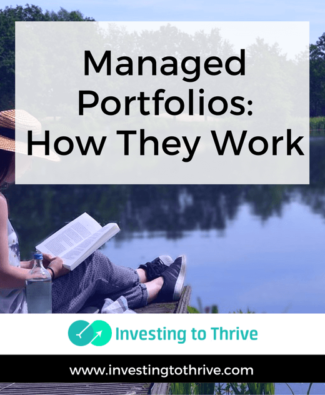 Generally, a managed portfolio is one in which a professional manages investments on a client’s behalf. Typically, the client will pay a flat or sliding-scale fee based on the portfolio size. The fee is calculated by multiplying a percentage (such as 0.25% or 1.0% set by the investment or brokerage firm) by the assets under management (AUM). The AUM represents the dollar value of investments being managed. A financial adviser once made a presentation to my husband that illustrated how our money invested with his firm (one of the largest financial institutions in the country) would grow over the course of the next 10 years. This projection indicated the trajectory of this growth and even indicated the investment balance each year into the future. This adviser concluded his sales pitch by saying that everything would be fine and he’d take care of our family. I didn’t like the idea of handing my money over to this guy to manage. He had put together projections using the past performance of certain mutual funds. 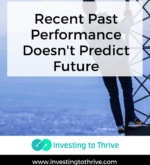 But past performance doesn’t predict future performance. The adviser didn’t show him his track record in managing a portfolio or explain his rationale in choosing these mutual funds. 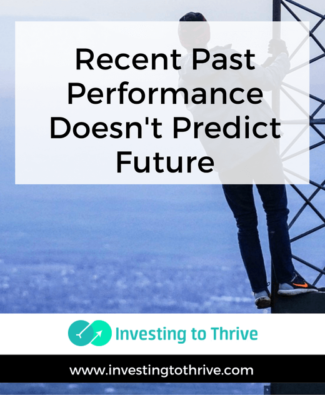 I was pretty sure I could identify great-performing funds and then calculate future returns based on those funds’ past performance. Actually delivering returns on investments for the unknown future would be difficult. But picking winners from the past, well, that seemed pretty easy.